A few pieces from Vans came through. Welcome to Damage, House of Hammers. extra coat of lacker for a tougher shell. The new Vans Era 46 Pro collaboration with Anti Hero has found it's spot on our shoe wall! Damage Boardshop Hook'd Up VIP Discount Cards! Buy 3 pairs of shoes get the 4th pair 40% OFF!!! New additions to the skate wall from Primitive! Buy 4 decks, get a FREE shop deck! All sorts of different hats to choose from. Here are a few from Huf, Grizzly, and Rome. Buckets, camp hats, and so much more! Shoes are coming in on the regular. Here are a couple from Emerica. and are looking better than ever! An awesome watch to get you hyped for the weekend. A shoe that speaks for itself. The Nike SB Dunk High in all white is now available! series to Superpark 19 these guys are true Bloodlines." The popular Janoski is back again with a new colorway. A couple of dri fit shirts just in time for summer. An age old question that we can now help you with! 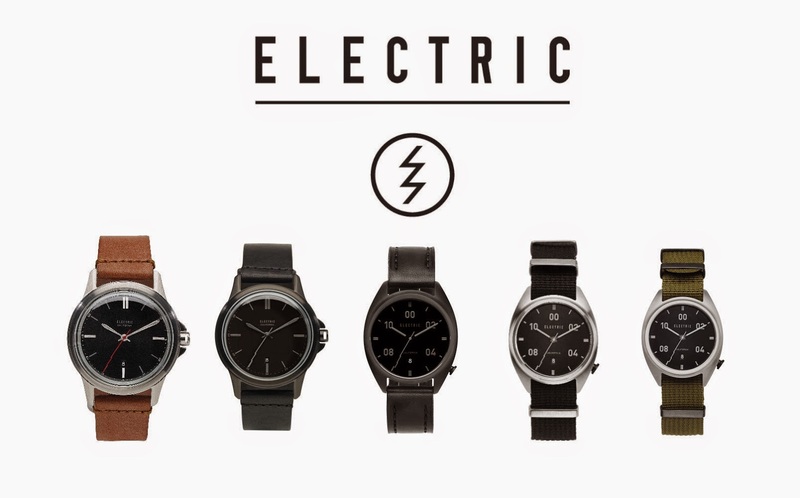 The best of the Electric watch selection is available to you now. Grab yourself a wach today! A couple of pieces are still left from the Spitfire x Volcom co-lab. yourself a free set of Spitfire Formula Fours! Lev Tanju founded Palace back about 6 years ago as an answer to bigbox corporate skateboarding and it grew from satirical VHS and phone edits. And today, Damage Boardshop welcomes the gang! Palace Skateboards are now available. the Vans x Anti-hero Era Pro is great for crackin' ollies or just hangin' out. Grab that light layer to break the wind and keep you comfortable. 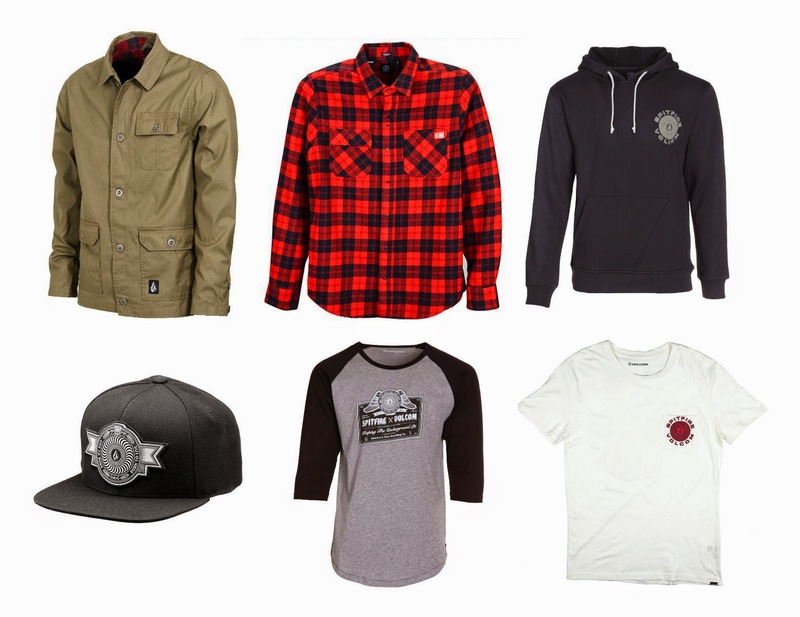 Jackets from Volcom, Independent, Shake Junt, and more! One shoe, two great colorways. Both available at Damage Boardshop! We are stocked with decks! Here is some of what Chocolate has to offer. Spring clothes are arriving daily! Take a peak at the latest from JSLV. Temps are warmin' up around here... That means it's time to get out and go skate. Stop in and pick up a piece of wood to push around on! 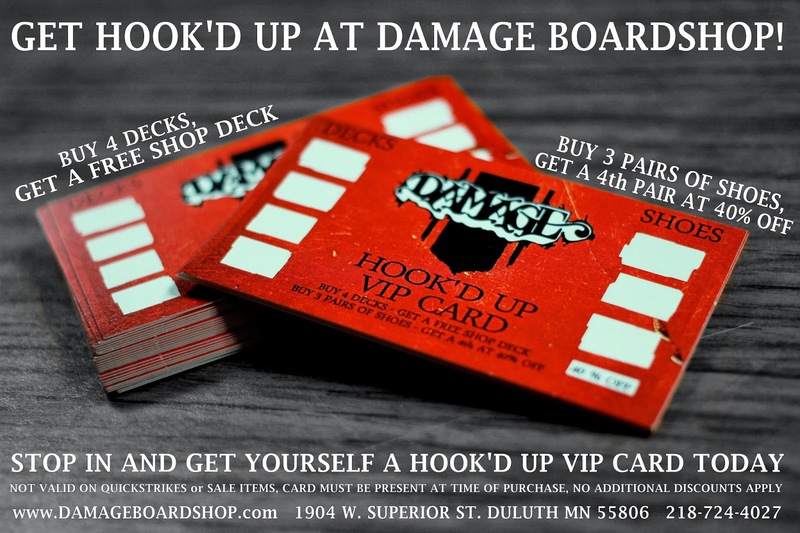 Don't forget about our Damage Boardshop Hook'd Up VIP Discount Card! Buy 4 decks, get a FREE shop deck!!! Tired of getting the same grip tape? 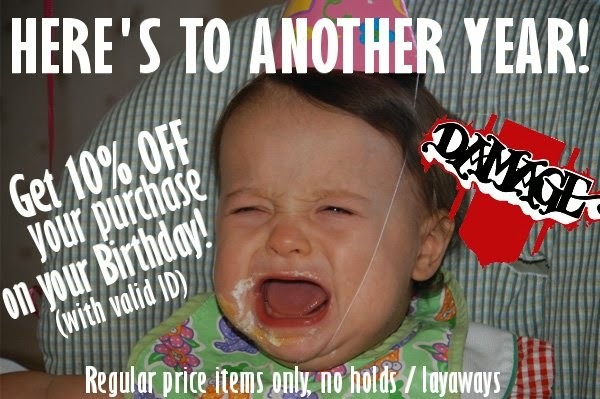 Have a Damage Boardshop Hook'd Up VIP Discount Card yet? Buy 4 decks & get a FREE shop deck! The Spitfire x Volcom collab is here and available while supplies last.